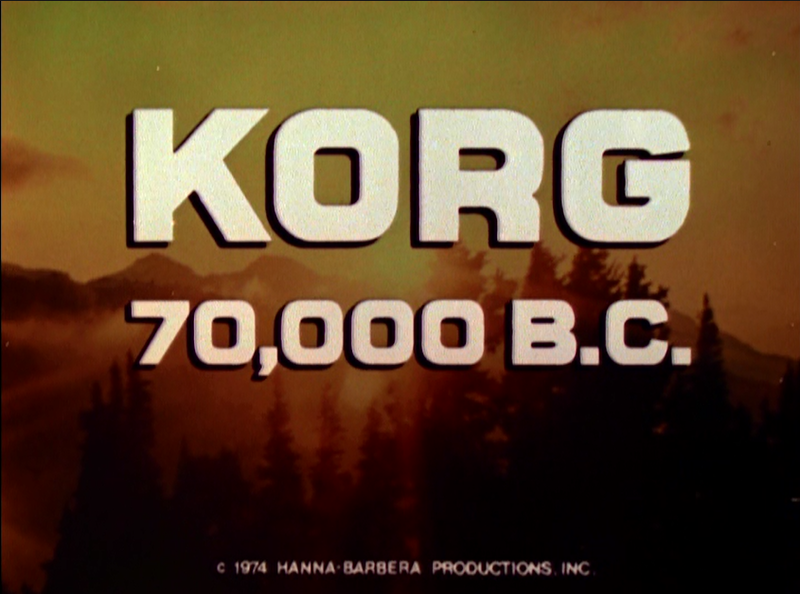 John Kenneth Muir's Reflections on Cult Movies and Classic TV: Saturday Morning Cult-TV Blogging: Korg 70,000 BC: "The Exile"
Saturday Morning Cult-TV Blogging: Korg 70,000 BC: "The Exile"
In “The Exile,” Korg (Jim Malinda) faces a terrible crisis. During a standard hunt, Korg accidentally kills a bird with a stone. Afterwards, bad things start to happen. Bok (Bill Ewing) is injured in a hunt. The water near the cave inexplicably goes bad. Hunting a deer proves unproductive. 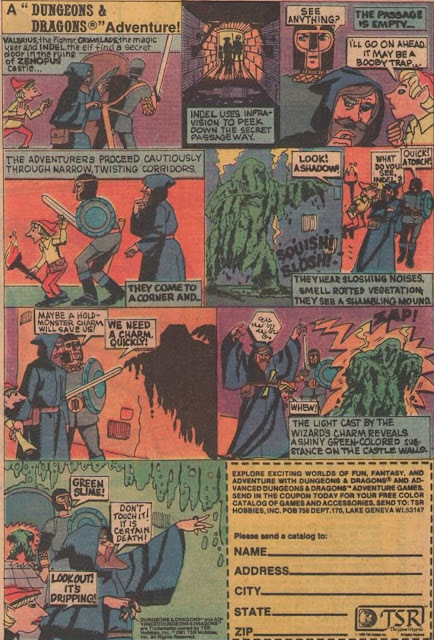 Korg grows convinced that the Unseen Spirits are angry with him for killing the bird, and that he will only bring pain and suffering to his family if he stays with him. Therefore, over Mara’s objections Korg leaves the tribe, striking out on his own. 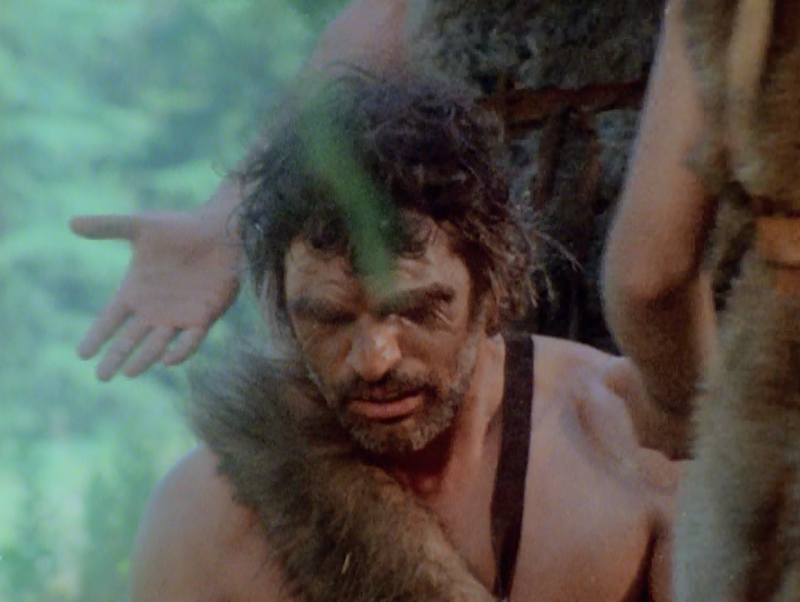 “The Exile” is one of the most intriguing and relevant episodes of Korg 70,000 BC (1974), because it serves, essentially, as a critique of faith-based decision-making. Here, Korg “interprets” signs around him -- namely a streak of bad luck -- and ascribes them to his God, The Great Spirit. If bad things are happening, then the Great Spirit must be mad, right? From that jump of faith, Korg makes another.He decides that the right thing to do is leave his beloved family, protecting him from his God’s wrath. Of course, Korg’s family suffers in his absence, especially Mara. The idea here is that attempting to divine what God wants from you is a fool’s game. And more trenchantly, interpreting signs of nature as God’s will, whether working for or against you, is similarly, unproductive. 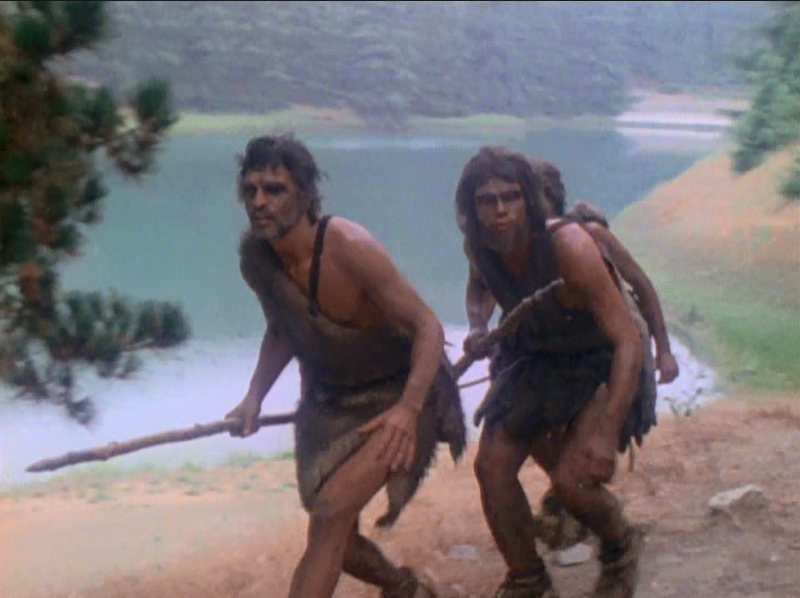 Accordingly, the episode goes to great length to describe the superstitious nature of Early Man, and notes that “a man alone” has little chance of survival in the dangerous world of 70,000 B.C. So Korg’s (absolutely sincere) beliefs are actually endangering him and his family, not helping anyone. His belief is impeding him, not solving any problems. Importantly, the family is reunited only when another divine sign is "interpreted." A woodpecker leads Bok and Tane to Korg. It's all kind of a self-fulfilling circle. A sign can be positive or negative, and yet it's still totally random. In situations like this, we're the ones imposing some "cause" or purpose behind completely innocuous events. “The Exile” doesn’t spell any of this out in an aggressive way, but it’s impossible not to detect the implications of the tale. Korg, a “primitive man” by our 21st century standards is actually not very much unlike many of us who live here today, adhering to closely-held superstitious beliefs. At least Korg has a valid excuse: the dearth of understanding about the Earth of the Neanderthals’ Age. “The Exile” features a bit more action than the other episodes I’ve reviewed thus far. 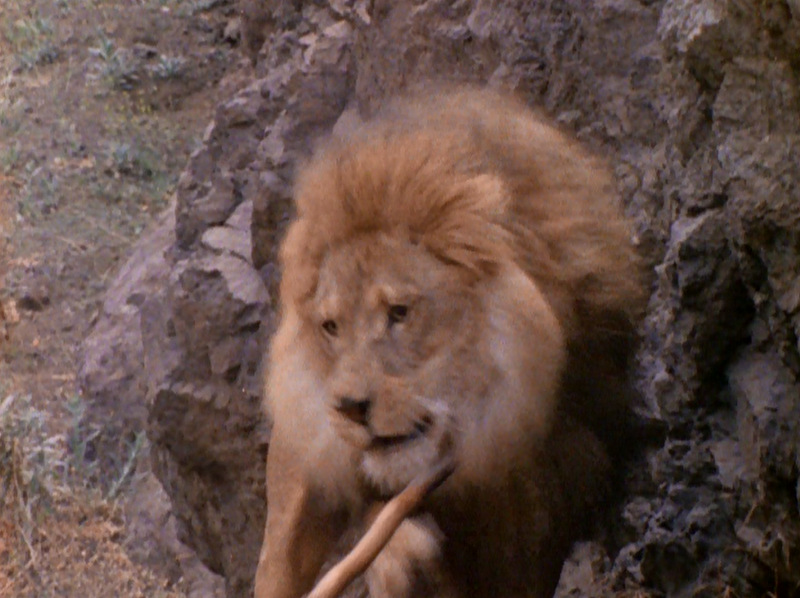 Korg goes up against a man-eating lion in one scene, and the episode begins with the tribe’s ill-destined hunt. “The Exile” also re-uses some of Meredith’s narration from “Trapped,” particularly the bit about “experiencing one of nature’s calamities,” an earthquake.